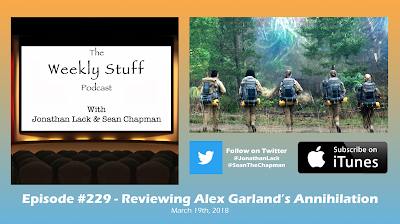 A month after its US release and on the heels of its international debut on Netflix, we finally get around to talking about Alex Garland’s Annihilation, a sci-fi journey that is gorgeously strange, evocative, frustrating, and undeniably fascinating to talk about. This is a prerecorded episode we saved for a rainy day, so we hope you’ll excuse the belated nature of this discussion (we’ll be back next week with a more up-to-date episode!). 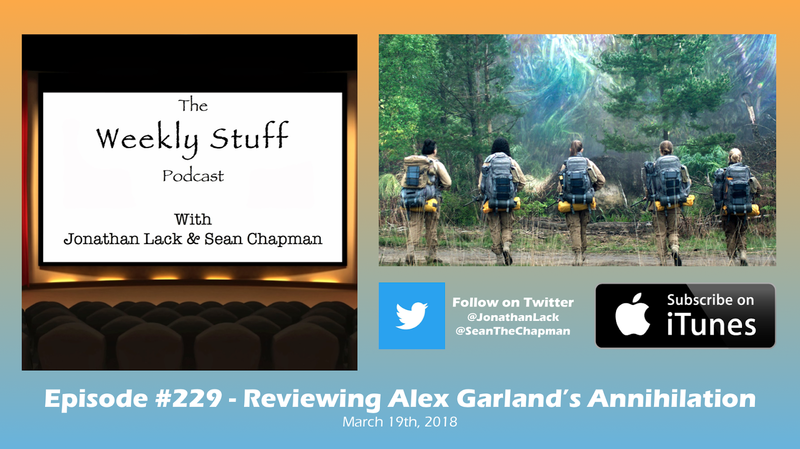 For now, Annihilation is, warts and all, more than worthy of the full Weekly Stuff discussion treatment, and we hope you’ll enjoy the review.